QUETTA: The Balochistan National Party-Mengal (BNP-M) has urged the people to elect real representatives of Balochistan, vowing to halt all attempts to impose a dummy leadership. This was stated by BNP-M chief Akhtar Mengal during an Iftar dinner hosted by the party’s senior leader Haji Abdul Basit Lehri on Saturday. Haji Lashkari Raisani, Akhtar Hussain Langove, Ghulam Nabi Marri and other party members were also in attendance. Dozens of people from the Lehri tribe joined the BNP-M on the occasion. Mengal told party members to finalise election preparation across the province and win the trust of the downtrodden people of Balochistan. “Despite spending billions of rupees, still many parts of Balochistan, especially the heart of CPEC – Gwadar, is facing serious shortage of drinking water. 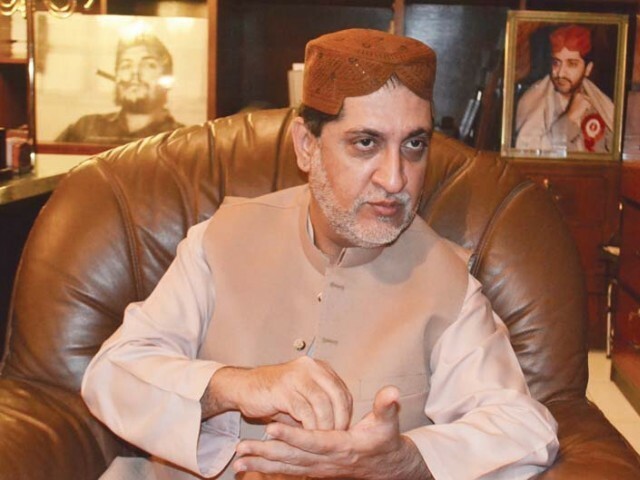 Time has come to elect real leadership of Balochistan through vote in order to close the doors to the imposition of a dummy leadership in Balochistan,” Mengal and other party leaders were of the view. They said that the BNP-M “is the voice of the voiceless people” of Balochistan and “we have always highlighted the missing persons and mutilated bodies” issues at all levels. “Once Balochistan was famous for its cultural values and tribal norms, but today’s politics in Balochistan is a game of money,” said the BNP-M central leadership.